Judy and Stink Moody are some of my favorite characters. These books are wonderful reads. I have read 14 books in these series now and each one was entertaining and a fun read. These are books I will read with my children over and over again. And in this book Judy is on the case. Judy Moody has become addicted to Nancy Drew books. She is trying to work her way through the original novels but also makes mention of the graphic novel series. Judy gets Stink reading the books also. 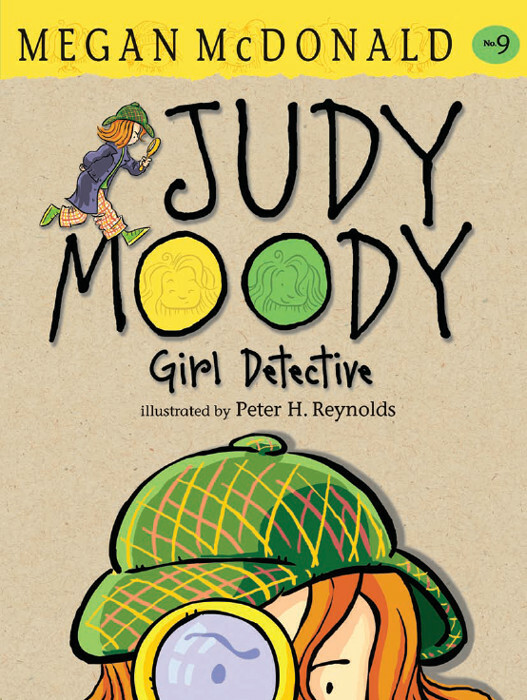 Judy has become Judy Drewdy, girl detective. She has made her super-stocked backpack and is finding mysteries all over the place. 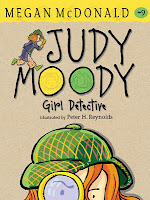 Judy, with her best friends Rocky, Frank and Stink, is trying to solve mysteries, especially the mystery of the missing police dog. This was another great read in an amazing series!